Prospective candidates for office will find information and forms necessary to move forward with running for office at the following link. Prospective candidates are advised to obtain legal counsel as to their qualifications for office, the proper method for completing the petition forms with respect to the office, the qualifications of the signers and circulators, etc. Prospective candidates seeking information can download the School Board petition packets or they can be picked up in the Election Commission office. Packets are made available 7-10 days prior to the first day to start circulating petitions. First day to start circulating petitions is: Tuesday, September 18th, 2018. Tuesday, September 18, 2018 PETITION CIRCULATION: First day for school board candidates to circulate nominating petitions. Monday, December 10, 2018 CONSOLIDATED ELECTION CANDIDATE FILING: Candidate filing period begins; first day for candidates to file their original nominating petitions, statement of candidacy, and receipt of filing of Statement of Economic Interests, to the office of county clerk or county board of election commissioners. Monday, December 17, 2018 CONSOLIDATED ELECTION CANDIDATE FILING: Candidate filing period ends. Note: Names are placed on the ballot in the order in which the nominating papers are received; a lottery is held for the first for the first and last spots if multiple candidates’ papers are filed simultaneously in the first and last hours of the filing period. Monday, December 24, 2018 OBJECTIONS: Last day to file objections to nominating petitions. Note: The objection period consists of five business days. If the office of the local election official is closed for days that would normally be business days prior to Tuesday, December 25, 2018, they must extend the deadline for filing objections in their office. Wednesday, December 26, 2018 BALLOT PLACEMENT LOTTERY: Last day for ballot placement lottery, held by the county clerk for the first and last spots on the ballot if multiple candidates’ papers are filed simultaneously in the first and last hours of the filing period. Thursday, January 24, 2019 WITHDRAWAL OF CANDIDACY: Last day candidate may file Withdrawal of Candidacy in the office of the local election official, election authority, or the State Board of Elections. Thursday, January 31, 2019 WRITE-IN CANDIDATES: Last day to file a Declaration of Intent to be awrite-in candidate with the appropriate election authority or authorities. Tuesday, April 2, 2019 CONSOLIDATED ELECTION: Polls open 6 a.m. to 7 p.m.
Tuesday, April 23, 2019 CANVASSING: Last day for the county clerk or county board of election commissioners to canvass the election results, and transmit the results. Tuesday, April 30, 2019 ORGANIZATION OF BOARD: Within 28 days after the consolidated election, the school board shall organize by electing its officers and fixing a time and place for the regular meetings. Wednesday, May 1, 2019 STATEMENT OF ECONOMIC INTERESTS: Candidates who have been re-elected to the school board must re-file the Statement of Economic Interests by May 1. 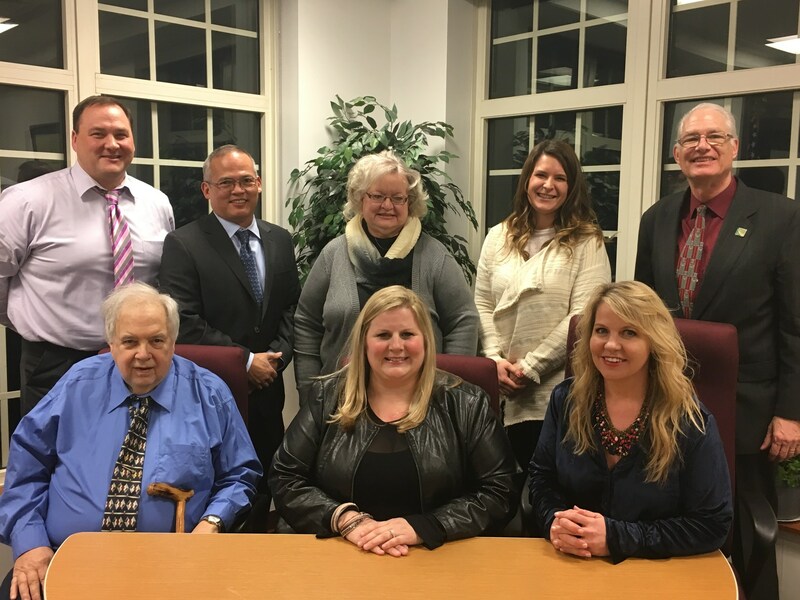 Although the law is unclear, new school board members – those first elected on April 2 – are encouraged to re-file as well. August 1, 2019 (approximate) MANDATORY OMA TRAINING: Within 90 days of taking the oath of office, new school board members must receive state-mandated training covering Open Meetings Act (OMA) general applicability, procedures, and legal requirements. A copy of the certificate of completion must be filed with the school board. May 1, 2020 (approximate) MANDATORY PDLT: Within one year of taking office, new school board members must receive state-mandated training in Professional Development Leadership Training (PDLT), including education and labor law, financial oversight and accountability, and fiduciary responsibilities. The School Board will have two (2) four year term vacancies and one (1) 2 year term vacancy this spring. The vision of Lombard District 44 is to prepare each student for a successful future. The mission of Lombard District 44, working in partnership with students, families, and community members, is to educate the “whole child” in order to achieve personal excellence. Our schools are learning communities which exist for our children. There must be a readiness, willingness and acceptance for directed change and growth on the part of our entire school community. The contribution and participation of our shareholders are encouraged and respected. A quality educational system recognizes, promotes and achieves excellence. There is a need to create and sustain a safe & caring environment for the entire school community.